It’s time once again for our Designer Challenge. This time I presented three fabulous side table options and asked each designer to select her favorite and tell us what she’d do with it. First up, I’m thrilled to introduce Kate of Centsational Girl. As many of you know, Kate is a very busy gal writing her own highly successful DIY and home improvement blog, contributing to several magazines and websites, as well as being part of several other projects. I was pleasantly surprised when she agreed to partake in my little old designer challenge (okay, who am I trying to kid? I had to pinch myself and then I did a happy dance!). Kate’s blog is one I have admired right from the get-go. She and I share a similar design style and I love the way she breaks projects down into easy to follow steps. Be sure to check out her project gallery for clever ideas and inspiration. With summer on its way, I decided it would be fun to design an alfresco space in bright shades of blue and green around the Wisteria stool. Nothing makes a space more interesting than mixing and matching styles, so why not blend your wicker and ceramic with your bronze and your wood for an eclectic yet pulled together patio! 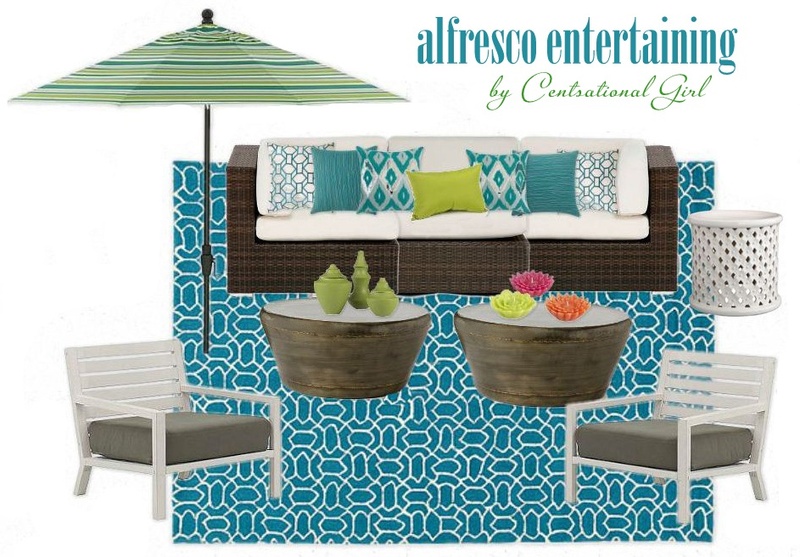 Start the setting with a bright blue pool rug and layer on top a cozy deep seat sectional to pamper yourself and guests. Cover the cushions with brightly patterned pillows and protect yourself from too much sun with a fun striped umbrella. Not one but two bronze coffee tables offer a place to set candles or drinks, or kick up your feet. Pull up extra seating to linger for hours with your friends and family. 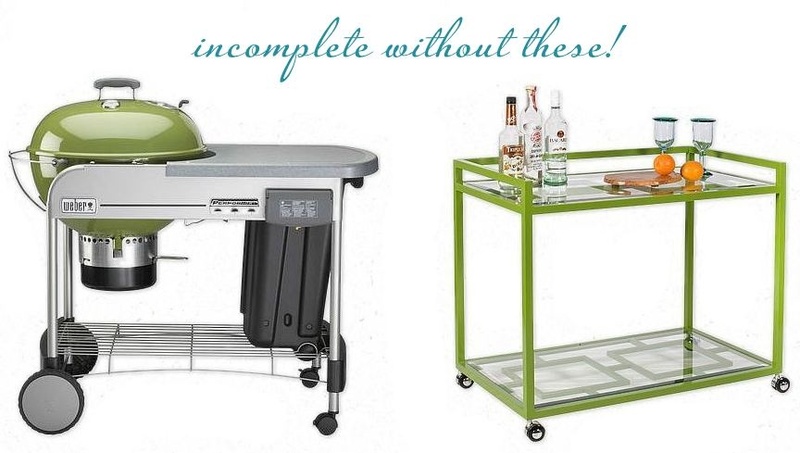 Don’t forget the coordinating barbeque and beverage cart and your backyard will be the hottest spot this season! Thank you Kate! This design makes me want summer to come even more quickly. I absolutely adore this alfresco style and can picture myself hosting a get together or just kicking back with the family for an afternoon of relaxing. Can’t wait! 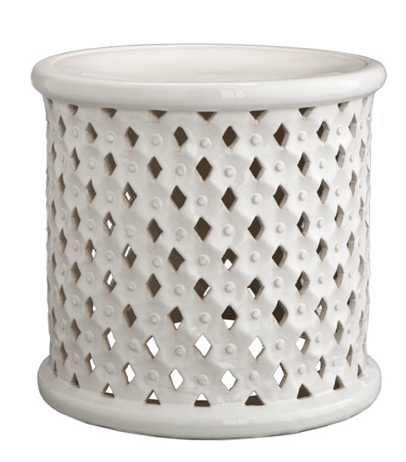 Would you select the Wisteria diamond stool as well or one of the other options? What kind of space would you design around it? 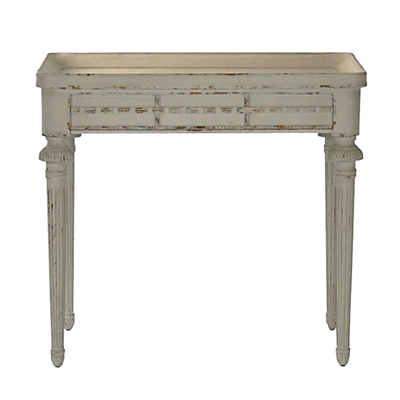 Come back tomorrow to see which side table Linda of Seaside Style chose and what she did with it. You’re going to be impressed! Wow! I love the outdoor room! I want a crisp glass of wine and a bathing suit! I would have picked the same one! Shauna and Kate, You girls know I am a huge fan of bright colors so this my kind of outdoor space. This has come just in time for me as we are in the process of fencing in our backyard for a certain rambunctious 2 year old, landscaping and furnishing the patio. Kate, you have inspired me with some wonderful ideas ! I am swooning over the BBQ grill! I just don’t know about the outdoor couch, I would never get off of it. I love being outdoors, I would be on it all day! It’s all beautiful, great design. Love that BBQ and I think it would be difficult for me to get off the couch too! Hope your back yard transformation goes well. Hope to see some pics! I totally would have done a happy dance too if Kate appeared on my blog! She is my 1st blog love! Love her choice of table- makes me long for warm summer evenings grilling and being with friends. I am totally thrilled to have Kate participating, as she was my first blog crush! I love the room you put together when you participated too. Congrats on the Apartment Therapy feature! Delighted to be here today Shauna, thank you for inviting me! I adore that whole setting – wish it was all mine in my own backyard! Enjoy your day! Leave it to Kate to make an outdoor space you would want to live in all year long! Beautiful! 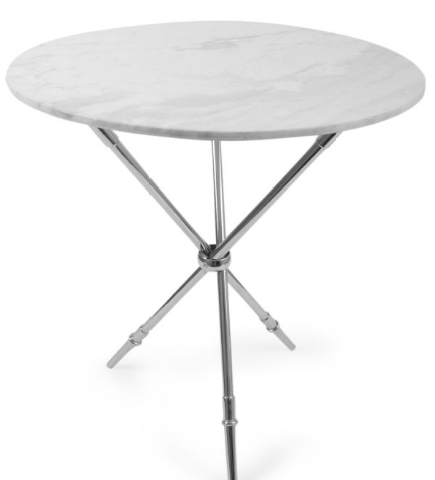 That is the same table I chose…and think it looks great indoors and out! Fun post! Anything that Kate puts together is a hit! Love this color combo, and the mix of patterns works well because it stays in those shades. Wonderful! And thanks for commenting. Love your site. Thanks for stopping by and leaving your kind comments. Looking forward to following your blog! I love this series! Beautiful patio space. I’m ready for the nice warm weather and dining outside! What a beautiful outdoor room. I adore Kate’s style! Always so tasteful. Thanks for sharing this challenge with us Shauna.